Lisa is a blogger at Self Storage Deals who writes on the subjects of home storage options and interior design. Right now, she is working on projects that involve the maintenance and organization of storage units in Colorado Springs and storage units in McAllen. " The hard reality is, the less space you have at home, the fewer things you’re able to keep & store. Anytime you bring something new into your home, make efforts to get rid of something old. A helpful guide might be considering items that you haven’t used in the past four months and items you have no intention of using in the next four months. Take a good look at all the furniture you have in your home. Could you replace your large sofa with a loveseat or switch out the queen bed in the guest room with a twin? 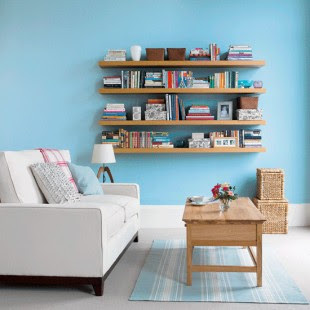 The smaller your furniture is, the more space you’ll have to store other household items in an organized manner. Shelves are a great place to store photos, books, DVDs, and decorations. As an added bonus, shelves don’t use up any of your valuable floor space, as a cabinet would. 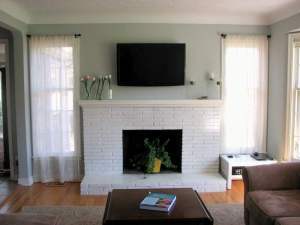 A flat screen TV that you mount to your living room wall takes up a lot less space than a TV that rests on a large entertainment center. Additionally, a laptop takes up a lot less room than a personal computer that must be stored on an immovable desk or workspace. So, when it's time for an upgrade, make intentional space-saving purchases. Putting forth some intentional effort to create more space in a small living area will go a long way to enable you to enjoy and appreciate your cozy home. Have you successfully created an organized space with limited square footage? Submit a few photos operationorganizationmn@gmail.com with a short explanation to be considered for a feature in an upcoming article! 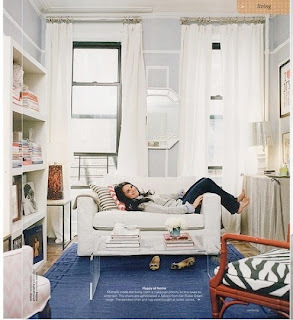 Need some help strategically creating more space in your home?